We use intraoral cameras, so when you visit the dentist, you can sit comfortably back in the chair and get ready for the show. We will insert a pen-sized, camera-tipped wand into your mouth. Covered with a disposable plastic sheath for contamination prevention, the wand simply takes a video of the inside of your mouth and transmits the images via cable to a computing unit. The computing unit enlarges the full-color images and sends them to a TV screen that you can comfortably view from the dental chair. Aha! There it is – your mouth on the screen. We can point out problem areas and easily explain recommendations for treatment, so you'll become an informed partner in your dental care instead of just a bystander. Seeing your dental problems may be overwhelming at first, but consider this experience the first step toward a healthier smile. The camera may reveal the early stages of potentially serious problems, allowing you the opportunity to catch small problems before they escalate. This is especially helpful with gum disease and conditions that cause damage without causing pain. The camera's honest survey can also show you how your regular home hygiene routine is paying off. From these findings, we can recommend ways to improve your homecare and your overall health. 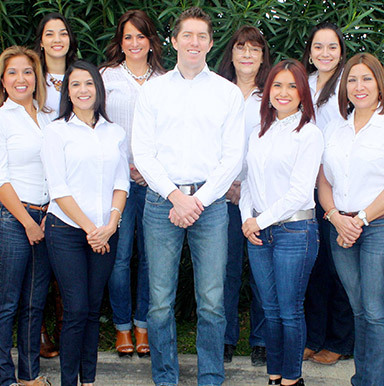 If you want to learn more about the technologies that enhance patient care in our Los Fresnos dental office, contact us today. We're always happy to explain the new innovations in dentistry and how they can improve your dental experience.